Home » Law Life » What Is Bullet Journaling? Is It for You? Summary: Find out what bullet journaling is and how it can potentially help you better organize your career and life. 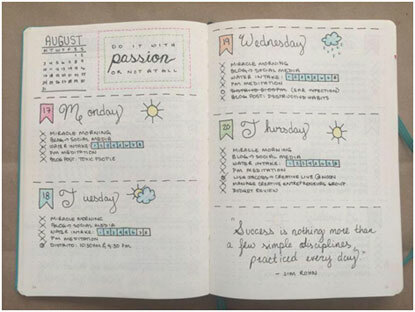 Bullet journaling was first popular amongst the more creative and artsy crowds, but now it’s quickly gaining traction outside of that sphere, especially with entrepreneurs and those who prefer pen and paper to computers for keeping track of their daily, weekly, and monthly life. So what in the world is bullet journaling? The more you use a bullet journal, the more you can fine tune what you find it most helpful for in your life. Having all of these things in one notebook can simplify your life and keep you from forgetting about important events or tasks, as well as keep you generally more organized. If you’re a bullet journaling newbie and want to give it a try, there’s one important thing to remember: don’t get sucked down the rabbit hole. You can end up spending HOURS putting together your bullet journal, making it pretty, color coding it or using symbols, etc. Remember that you don’t have to have it perfect right off the bat. Experiment with a few things, try something new each week, but don’t end up procrastinating everything you actually need to do by trying to organize it all beforehand. Also, don’t compare yourself to anyone else! Sure, that blogger might have the cutest bullet journal you’ve ever seen, but that’s her JOB and she’s been doing it for a long time. 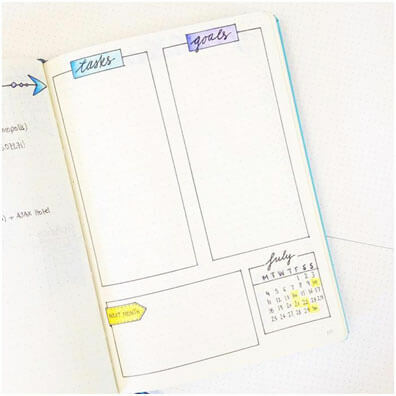 If you want to give bullet journaling a try, start by searching Pinterest, or try one of these three blogs for resources and guides: Hello Brio, Christina 77 Star & Boho Berry.